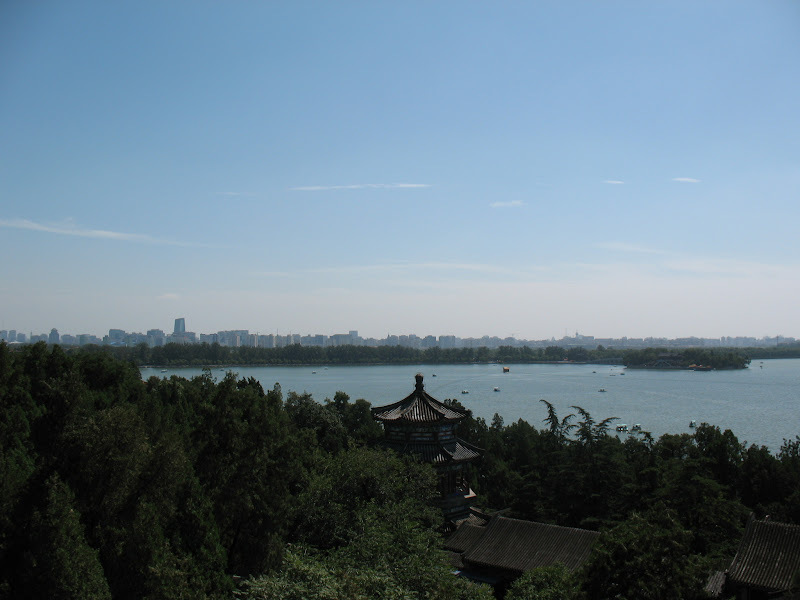 With my first week in China marked, here are a few things I've noticed so far. In the US, we highly value personal space. It's totally different in the world's largest country. If you're a people-phobe, you wouldn't fare too well here. Subways and buses can be quite crowded, even when it's not rush hour. Even lining up for anything can be a problem, with a queue more often looking like a mob. Think you're next up to buy a ticket? Think again--someone probably will try to budge in front of you. And if you're trying to take a photo, do it fast, because somebody is about to walk through it. Cleanliness is of the utmost importance. But at the same time it's not. Someone is always cleaning something, sweeping the street, picking up garbage or emptying rubbish bins. But at the same time, no one hesitates to hock a loogie on the floor of a restaurant or subway station. 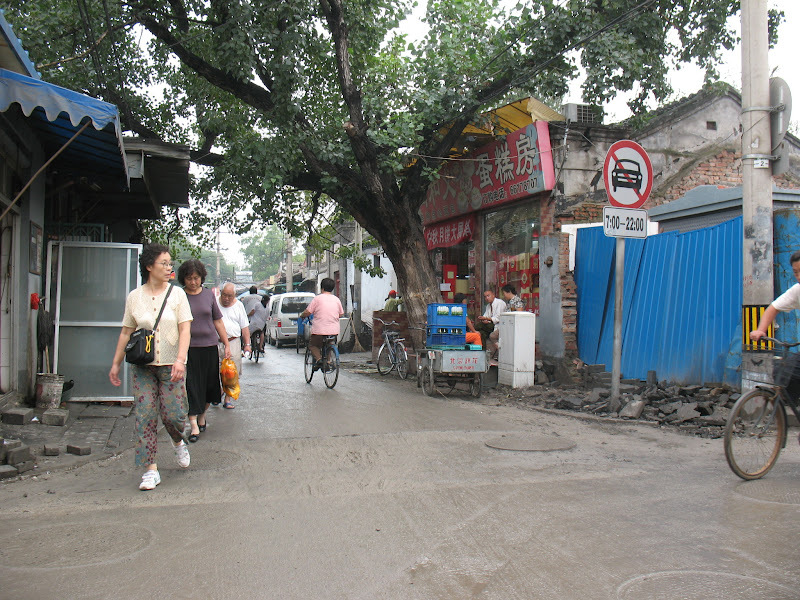 I've really enjoyed strolling through the hutongs, the narrow streets and alleys that crisscross Beijing's center. They're often not fully paved and you can see right into people's homes. They're also home to some great food. I've eaten in some real shitholes here. Imagine a room about as big as your bedroom. Probably smaller. Throw in a few tables, a tiny kitchen and a guy sleeping in the corner and you've got a great Beijing restaurant. And if it looks like the US health inspector would rather burn the place down than give them a list of things to fix, all the better. As you might expect in a communist state, police are everywhere. But they're usually either in totally pointless locations or too busy texting to noticing anything amiss. 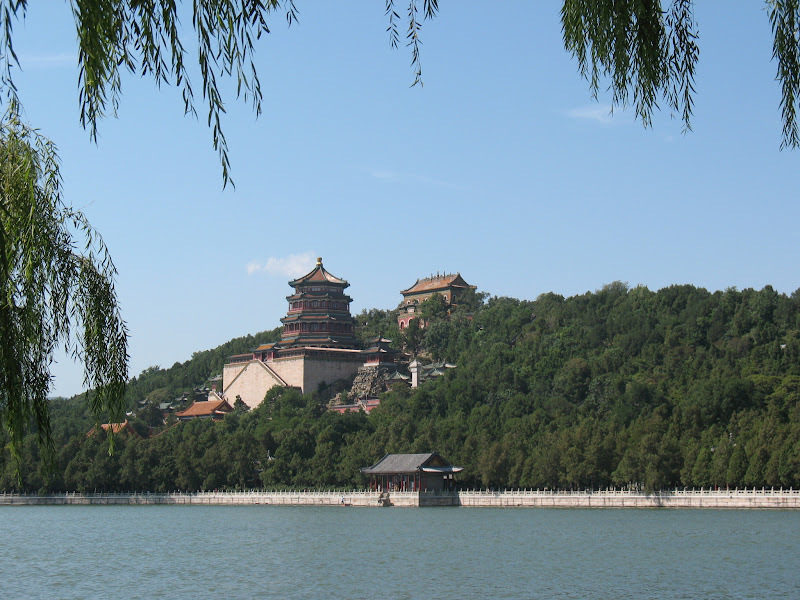 Yesterday, I visisted the Summer Palace, just on the edge of central Beijing. It's a decent-sized complex set on a lake, so I was thrilled when it was actually a sunny day. We had a ton of rain in the last several days and it seems to have cleared out a lot of the crap in the air (which, by the way, has ravaged my nose and lungs). Today, I'm hopping a train to Qingdao, which is about 800 or so kms south of Beijing, on the coast. It was formerly occupied by Germans, who introduced TsingTao beer. Turns out there's a major international beer festival that starts next week. I don't know that I'll have enough to do in the area to keep me occupied until then, so I might have to give it a miss. After Qingdao, it's on to Shangai for a few days, which is about 1000 kms further south. And after that, I'll be heading west.